It's a Christmas miracle! 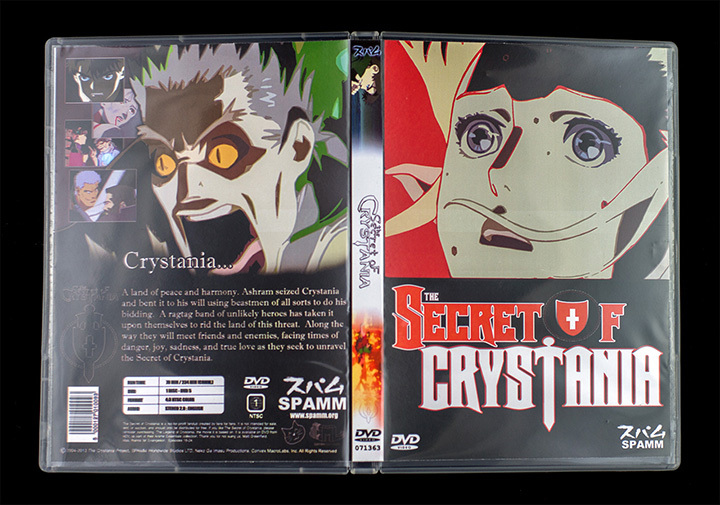 Many years in the making, the Secret of Crystania DVD project is finally ready for public release. 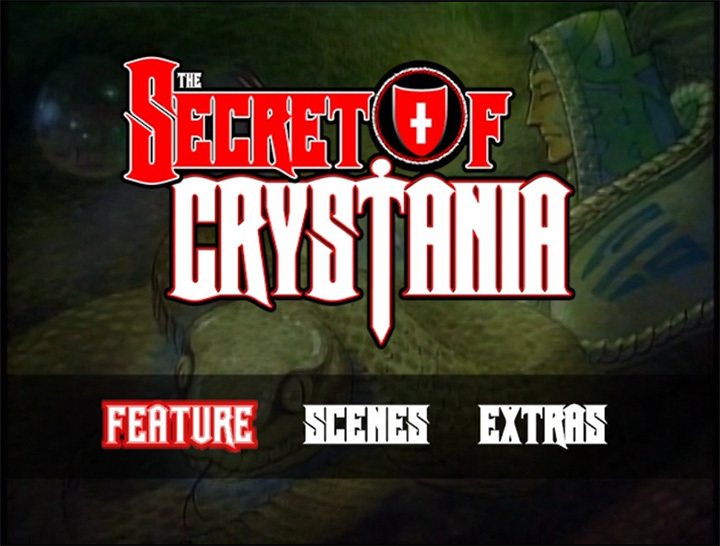 The Secret of Crystania is a high production, full length fandub parody of the movie The Legend of Crystania created by members of SPAMM in the mid-2000s. 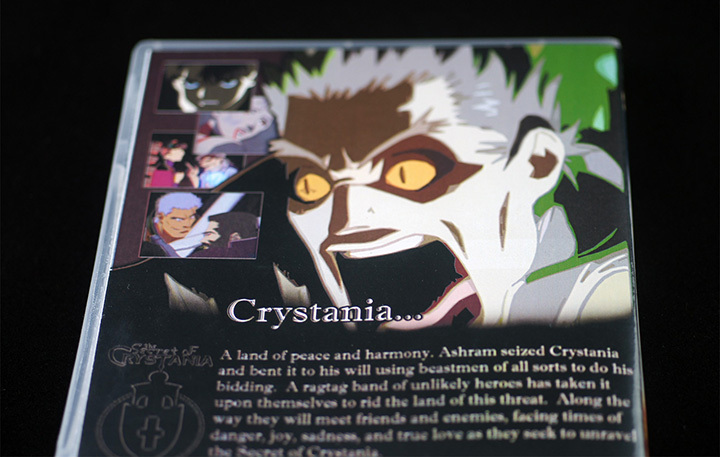 It has been screened at anime and gaming conventions, but has not had an official public release until now. 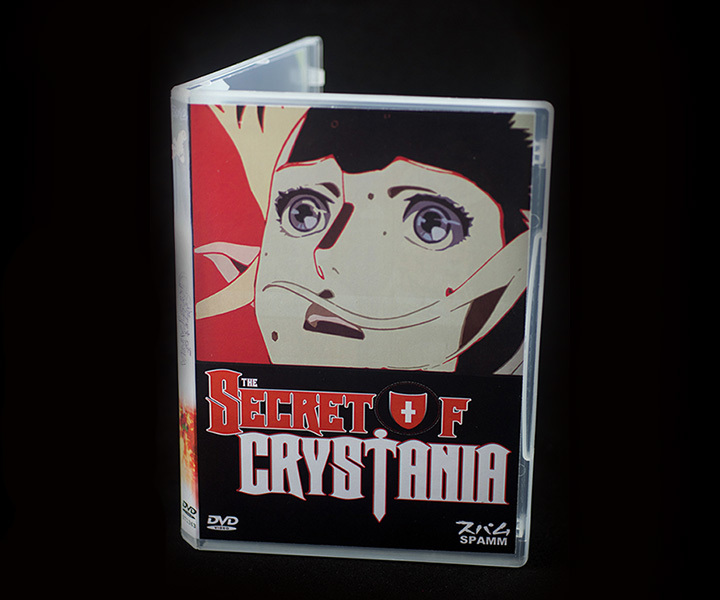 The packaging for the DVD was loving designed and carefully crafted to reflect the timeless class of The Secret of Crystania. This heirloom-quality production features a full-color reversible cover sleeve, with designs inspired by the Criterion Collection, allowing you to choose between Pirotess and Billy Winchester-themed artwork. The transparent casing allows the sleeve backing to serve as inlay artwork within the case. 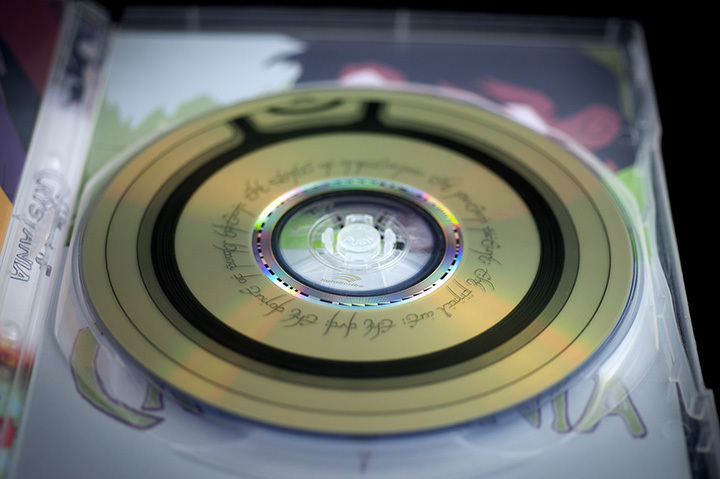 The disc itself is modeled after the Donut of Power from the film, with arcane runes laser-etched into its surface using LightScribe technology. 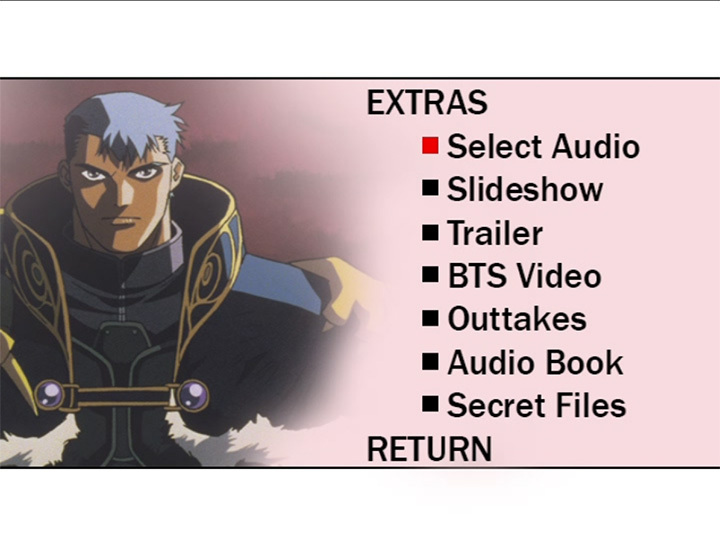 ...and many more extras and bonus features I'm not going to list here! 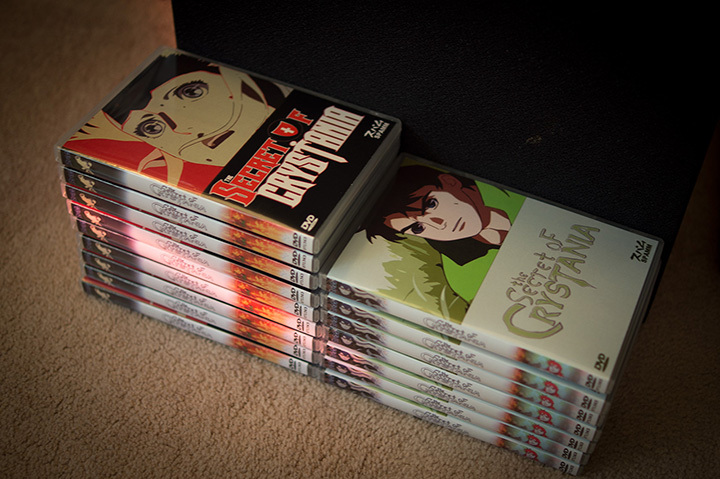 I personally funded and hand-crafted approximately 40 physical DVDs, as featured in the images above. SPAMM members and alumni who are in the Madison area can contact me to receive a free copy while supplies last! 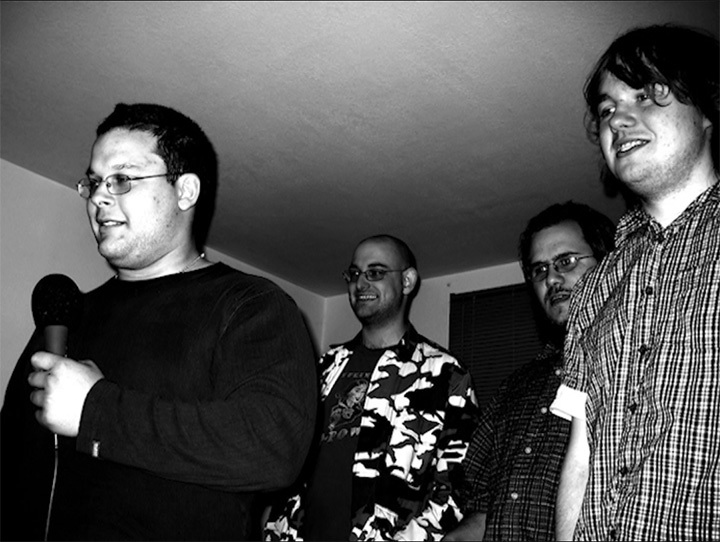 Note: Digital distribution methods are currently experimental. Consider this a work-in-progress as I figure out what file hosting works for this. 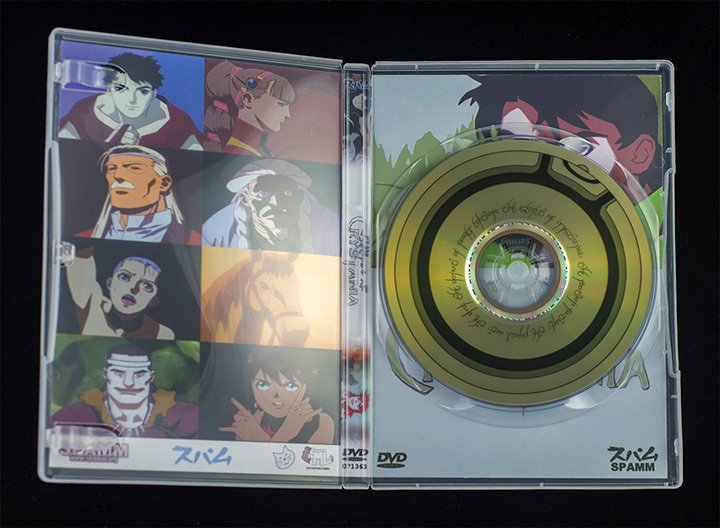 A DIY DVD version that contains a DVD iso and all of the files necessary to make your own physical copy. An MKV version for people who just want the movie. 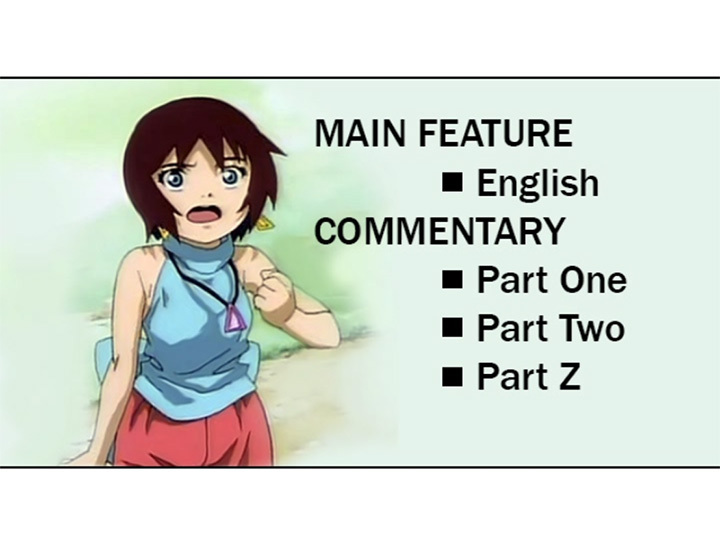 This version contains the updated audio and the commentary tracks, but none of the other extra features available on the DVD. Please let me know if these links break. If anyone wants to volunteer to mirror the files or has suggestions on where they can be hosted, it would be greatly appreciated. Thanks to Zachary Swagel for helping out with some of the audio editing on the DVD version and to all members of the Crystania Project who made the original movie possible. Party at our house to watch Crystania! Is milwaukee 'in the Madison area'? QazYseult wrote: Is milwaukee 'in the Madison area'? Well, I am not going to drive to Milwaukee just to deliver the DVD, but I can set aside a copy for you in the event that I am in Milwaukee or you are in Madison in the future. I am just trying to avoid spending hundreds of dollars more in shipping costs. I left an extra copy for you in Japan with Jim when I was there earlier this month, so you don't need to go quite as far if you want a physical copy. What if I sent ya some cash for shipping? How much ya think it would be? I just spent at least 30 minutes straight listening to Zach talk about MapleStory and food. The Zake commentary is poised to be the #1 Swagel simulator of 2014. It felt like he was in my living room eating all of my food. QazYseult wrote: What if I sent ya some cash for shipping? I will look into the cost of packaging and shipping. My guess is that it would be in the $5-10 range depending on how many are interested. Where/how can I pick up this DVD? I live in Madison and I'm usually pretty busy (I have the plague right now). Nice job with the DVD. Feels good to have closure on that project, after all of those years that we (more accurately, I) had shelved it. I blame it on a combination of computer problems, money problems, and sheer laziness on my part. But, it's done, now. Hurray for cats! Photon wrote: Where/how can I pick up this DVD? I live in Madison and I'm usually pretty busy (I have the plague right now). Wait until you are not busy and plague-ridden and we can arrange a time to meet up.